We’re excited to announce Cyber Cypher #1, an online DDR freestyle tournament! We wanted to reach out to freestylers outside of California and a remote event sounded like the perfect way to showcase talent from all across the world. To enter, choose from one of the following three songs and record a performance to it between now and May 5th! Cyber Cypher is open to everyone on Earth, regardless of region. To enter, record yourself performing a routine to one of the three Cyber Cypher eligible songs. 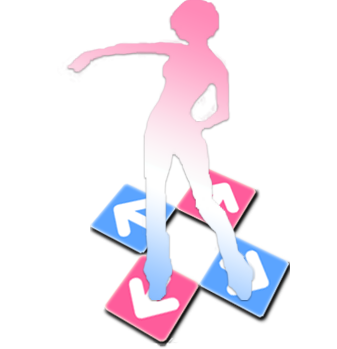 Performances may be done on a Dance Dance Revolution arcade machine or on a home version pad using either a console version of the game or a DDR simulator/emulator. All performance videos may be e-mailed directly to FreestyleTakeover@gmail.com or uploaded online. A link to the upload must be provided to any of Freestyle Takeover’s social media channels using the hashtag #DDRFreestyle. Performer must complete their performance with a passing grade per the game’s scoring system. A failed grade performance is not eligible for submission. All performances will be judged by Freestyle Takeover staff. Each judge will grade the performances based on (but not limited to) showmanship, creativity, musicality, and presentation. The competitor’s game score will not be factored into judgment. After the final performance of the competition, each judge will submit their top 10 candidates using the following voting vector (14, 9, 8, 7, 6, 5, 4, 3, 2, 1), where 1st place receives 14 points, 2nd place receives 9 points and so on. All judges’ decisions are final and are not subject to protest. Final tallies will be available per request after the competition is over. Entrants who submit a video to the Cyber Cypher are agreeing to allow Freestyle Takeover to potentially use their footage and/or likeness in future promotional and marketing material. Rules are subject to change at the discretion of Freestyle Takeover. Prizes for this are forthcoming but we guarantee they will be worth your while. Start brainstorming your routines and stay tuned for more!